Energy Efficiency Agency launches largest national competition rewarding the successful initiatives in energy efficiency and exploitation of renewable energy sources, competition MOLDOVA ECO-ENERGY, 2014 edition. MOLDOVA ECO-ENERGY is a competition which aims to support the most important initiatives in the production, transmission, distribution and efficient use of energy, in the implementation, development and promotion of modern technologies, innovations in renewable energy and energy efficiency. Since 2012, Moldova ECO-ENERGY given annually awards individuals and organizations that have made significant contributions in the production, transmission, distribution and efficient use of energy in the development and promotion of modern technologies, innovations in renewable energy and energy efficiency in the edition have entered the competition 65 applicants. 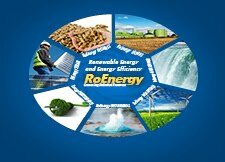 In 2013 over 60 participants enrolled in the competition of the best drivers of renewable energy and energy efficiency. "The current mechanism of energy supply is one unsustainable, so we need a new energy paradigm that will reconcile economic needs with sustainable development for future generations. Moldova has proven to be a very ambitious country in energy efficiency, given the necessity of economic growth in terms of percentage decrease dependence on imported energy with mode improve efficiency and promote the application of various tools such as competition prize MOLDOVA ECO-ENERGY "said Mihai Stratan, Manager of the Agency for Energy Efficiency. Those wishing to enter the competition will submit a file-type of participation in electronic or printed address Energy Efficiency Agency, indicating the category in which they compete. File can be downloaded from the website www.aee.md. Participants can enter the competition one or more projects simultaneously. The same project can not be entered in multiple categories. The files will be made ​​from 5 March to August 5. Winners in each category will be selected by independent panels consisting of representatives of state institutions related to renewable energy and energy efficiency, leading specialists in the field of energy, academics and civil society, media and communication experts, and where appropriate representatives of sponsors and donors. Dossiers submitted by participants will be discussed in three stages: examination by panels evaluation and field verification visit of the Coordination Council Decision. For the 2014 edition, will be considered eligible projects undertaken and completed by 2014. Winners will be announced and awarded in December 2014 in the award ceremony MOLDOVA ECO-ENERGY. They will recognize champions eco-energy sector and it will inspire others to follow. Eco-Energy Competition Moldova is carried out at the initiative of the Moldova Energy and Biomass Project, co-financed by the European Union and implemented by UNDP.